In your attic, heat and moisture are your enemies. They can create structural damage if the timber and beams in your roof are exposed to moisture for too long. 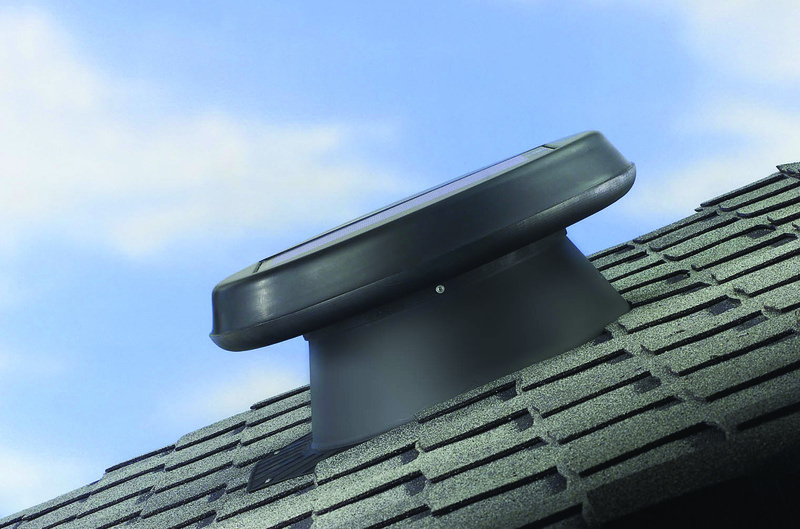 Roof ventilation will have significant benefits for your whole house - especially in summer. In the warmer months you'll no doubt have your windows open to let the warm air out and let the cool air in. But if you're not ventilating your roof – which is the hottest part of any house – then it is like having a blanket on your ceiling and you'll wonder why the house won't cool down. In winter, the warm air from your heated home could rise into your ceiling where it meets the cold winter air. This creates condensation and moisture in your attic, which can dampen the timber that keeps your roof up. This fan will remove this moisture and keep your attic dry. The fan is completely solar powered so there is no need to run any cables or wires to it. Powering this roof fan with the sun's energy not only means that electricity bills are kept low, it also means that the fan turns on and off as the sun comes up and goes down. This means that your attic starts to ventilate in the morning even before the roof starts to heat. If you use the nifty optional Thermal Switch with your Solar Star it will do some clever thinking for you. It will stop working when your roof gets below 18°C so it keeps your house as toasty as possible on cold winter nights; plus it will kick in if your temperature goes above 29°C – helping to cool your house. How’s that for smarts. If scientists were to design an ideal breeding ground for creepy crawlies there are two things they would include – heat and damp air. If you're not ventilating your roof then these same scientists might as well set up shop in your attic. Ventilating your roof makes it much less likely for bugs and insects to make your roof their hiding place. This product has a 5 year warranty on the panel, motor and thermal switch, and a 10 year warranty on all other parts and installation. Want to know if a Solar Star Roof Fan is right for you? To see whether this product is right for you in your home, we want to offer a free in-home consultation where a certified installation consultant will assess where a Solar Star Roof Fan can be installed in your home. Otherwise, you can check out our rangehoods.